I just love capturing weddings. What I love even more is when I can create a one of a kind wedding image like this. What makes me create these wedding images is the power & knowledge of being a master wedding photographer, by stepping out of your standard comfort zone by giving any and all wedding clients standard sparklers photo. 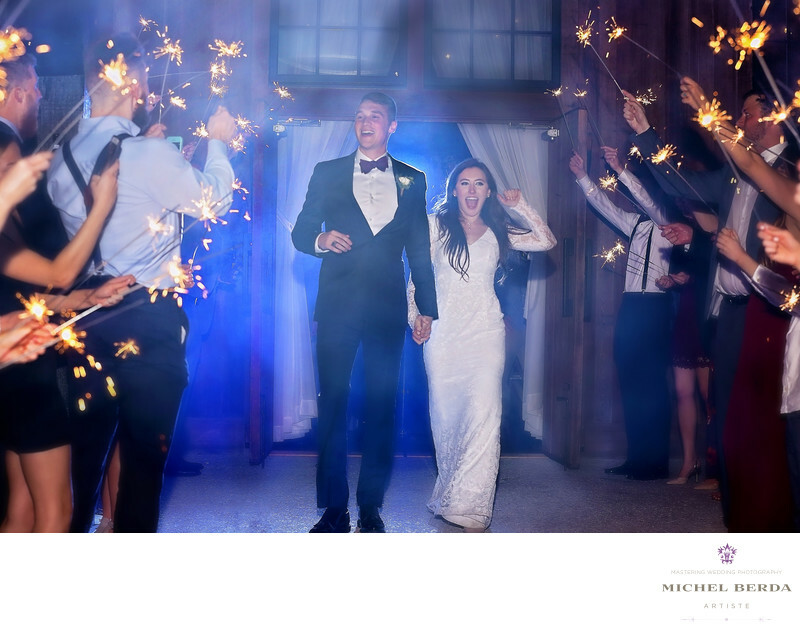 You see by adding my master lighting technique to this sparklers exit wedding image and stepping out of the box, I created that WOW factor for my wedding clients. This image was captured at this beautiful wedding venue called The Pavillion at Pepper Plantation, this award-winning barn, with its cool rustic theme and deep Lowcountry-styled porches, and exposed wood beams are unique all by itself. I wanted to feature that backdrop in this wedding image of sparklers exit. I believe I have done just that and love the cool lighting effect to make this wedding image unique and very artistic.Keywords: bride (66), Charleston (1179), groom (69), king street photo weddings (219), Michel Berda (1140), photographer (1125), rustic (3), the pavilion at pepper plantation (6), the pavilion at pepper plantation weddings (3), Wedding Photographer (1254), wedding photographer the pavilion at pepper plantation (3), Weddings (168), weddings at the pavilion at pepper plantation (3).